Managers who participate in our Leadership Training Program will have personal contact with top global leadership coaches with years of experience empowering people to make transformative change, act with an entrepreneurial mind-set, and accomplish their life goals. Lauren is a recognized expert in both Blue Ocean Strategy and Blue Ocean Leadership thinking and is a member of the invitation-only Blue Ocean Strategy Network established by the co-authors of the approach, W. Chan Kim (her MBA professor at INSEAD) and Renée Mauborgne. 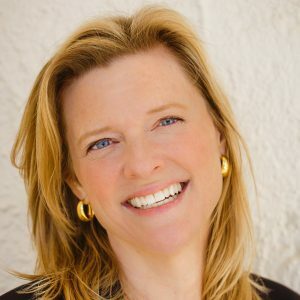 Lauren has been helping organizations implement Blue Ocean thinking for the last decade, after a long career in biopharmaceuticals where she pioneered the use of the approach as Vice-President of Strategic Marketing in her organization. 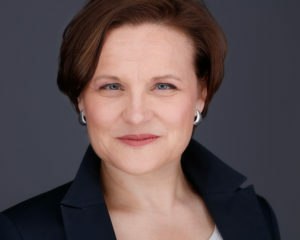 Lauren also regularly joins the faculty of the INSEAD Executive Development Program for Blue Ocean Strategy, which is held twice a year at the main INSEAD campus in Fontainebleau, France, and now since February 2017 in the USA, working with executives all over the world and in a variety of industries to help them adopt the Blue Ocean mind-set. Lauren speaks English and French fluently and is both a US and Swiss citizen. Nathalie has been active as a Corporate Trainer and Certified Co-Active Coach in the fields of talent development, leadership, personal branding and career management for more than 15 years. Her mandates lead her to intervene in various sectors (services, industries, biotech, hospitals, NGO …) and at different levels in the organization. What motivates her is to inspire, reveal and mobilize the potential and talents of her clients to help them design meaningful careers as well as develop their interpersonal skills and an authentic leadership style. In her professional coaching, whether one-to-one or team coaching, or in her management trainings and interpersonal skills workshops, Nathalie brings her vitality, her multicultural experience and her capacity to positively challenge. What she knows is that everyone has great resources to be successful, but not always the key to recognize, develop and express them within their work. So, she accompanies Managers and Executives with enthusiasm, positivity, insight and a reassuring personal investment, to help them drive and achieve their professional projects.